Will be putting this baby up in the air soon! 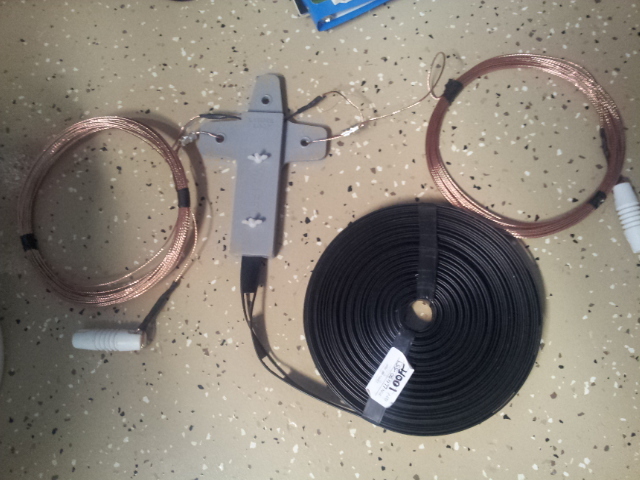 Also have a 4:1 balun to add to it. We use these for Field Day, as well! This is a simple video primer on using an antenna tuner to reduce your Standing Wave Ratio (SWR) and find the ideal tuning match between your transmitter and the antenna to maximize your output power to the antenna. This basic principle applies to other antenna tuners of other design and configurations. 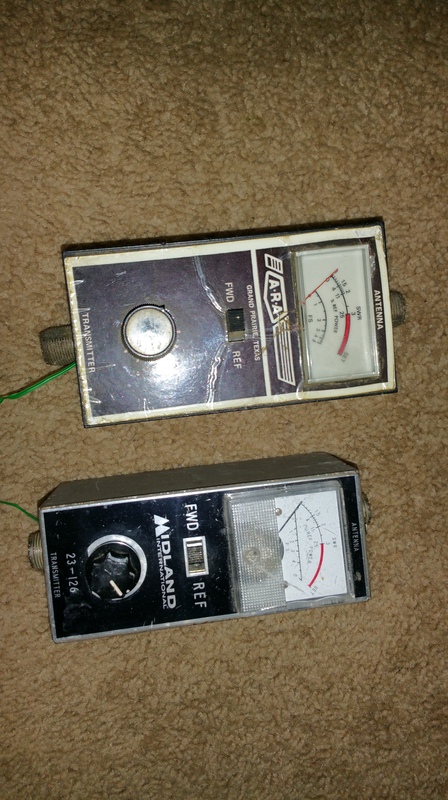 Always read your radio Operation Manual AND your Antenna Tuner manual for proper procedure for your set-up BEFORE you apply the power! Initial tuning into a Dummy Load should be made before a quick final tune-up on the actual frequency you are planning to communicate on. 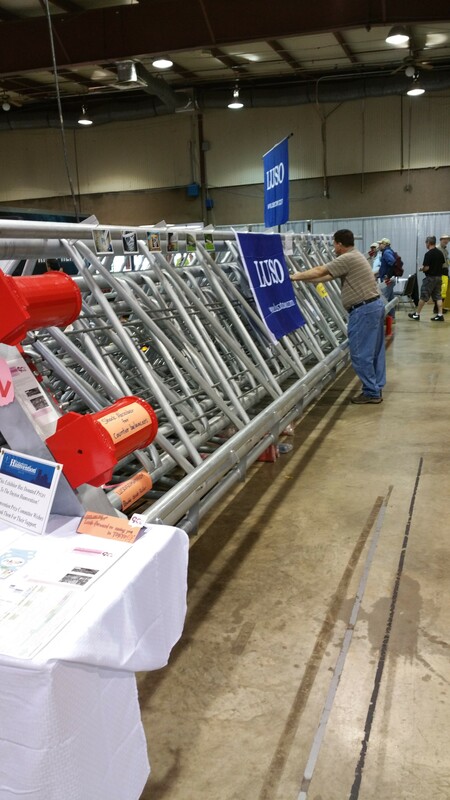 You can’t work DX on HF unless you run high power and have a big antenna farm. How many times have you heard that? 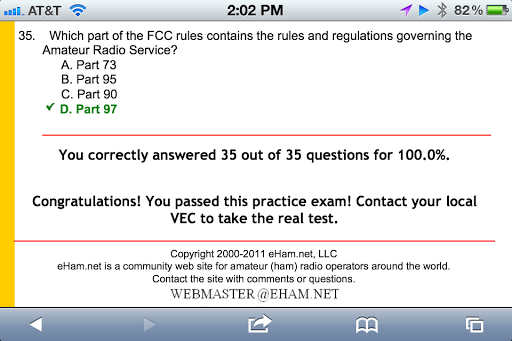 Believe it or not even one ARRL employee was very skeptical about the ability to work DX otherwise. Maybe still is. Anyway I’m writing this to dispel that notion. I also do it by example as many of you probably already know. Let me start by describing my station in detail. 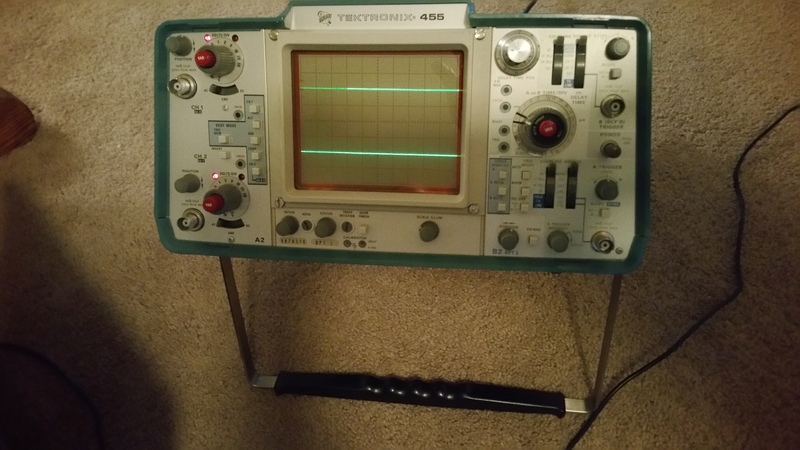 My rigs since I became active again in the early 1990s have been homebrew, Kenwood TS-570D, Kenwood TS-480SAT, Elecraft K-2, and now the wonderful Elecraft KX3. All have a couple things in common. They have never been used on any mode but CW. 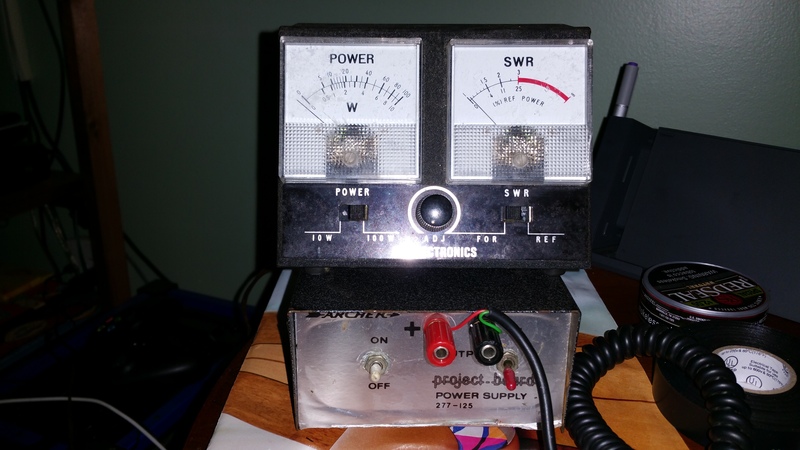 They have never been used at more than 5 watts output power (except for two experimental QSOs and one accidental one – that’s another story just mentioned here for 100% accuracy). 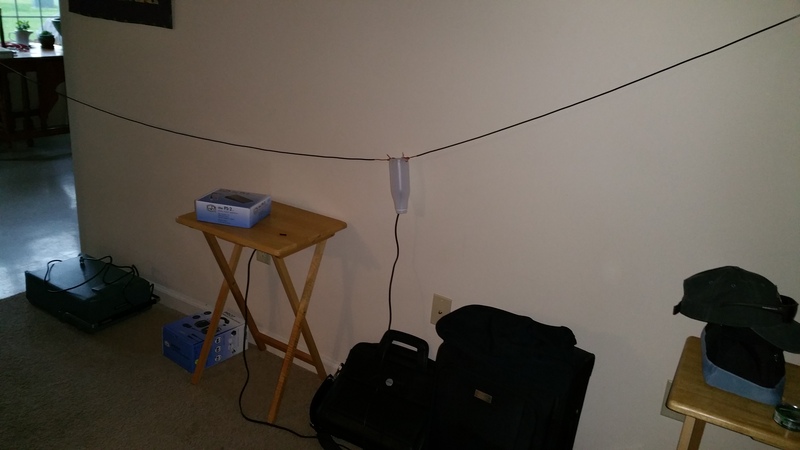 My antennas consist of a random wire most of which is in my attic for 160 through 30 meters, a 20 meters flat-top inverted vee in my attic, a 15 meters vertical dipole mounted on the side of my house, a 10 meters sloping dipole on my porch roof, and a 6 meters rotatable dipole in my attic. As KB7MBI puts it, that’s not an antenna farm, that’s an antenna victory garden. With that setup I have made 19,140 DX (non-W/VE) QSOs since the early 1990s from at total of 219 countries (entities) on all continents and 36 of the 40 CQ zones. Currently as of May 29, 2014 I have made at least one DX QSO each and every day since March 1, 2013 – a total of 455 consecutive days. With that preamble to let you know that I probably know what I’m talking about, I’m going to tell you how you can do just the same, probably even better if you have better antennas and a better location than I do. Oh, I neglected to say I don’t live on a remote hilltop somewhere, but right in the middle of a small town with its attendant man-made QRN. The town is located in a river valley with surrounding hills making a visible horizon of a couple degrees up to around 10 degrees. I think the above proves it is possible to work DX with just 5 watts or less output and simple wire antennas. 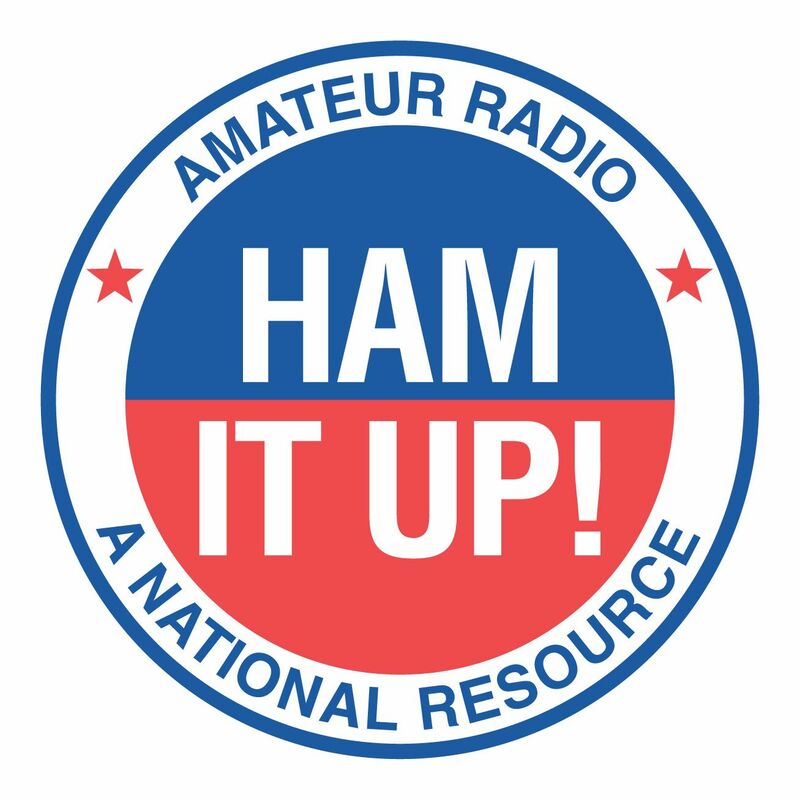 Of course it’s not as easy as working DX with 1 kilowatt and stacked 4 over 4 beams, but it’s not as hard as many hams think. I believe that ANYONE, without a great deal of effort, can get the basic DXCC award using nothing more than QRP/CW and a wire antenna. 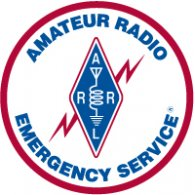 I worked 100 countries in just the first 78 days of the year 2000 as part of the ARRL Millennium Award program. Here are some tips to hopefully help you in your DX efforts. Basically there’s not a lot you need to know to successfully work DX. First of all, a lot of good DX is only available via some high speed CW operators, so the faster you can copy, the easier it will be to work the DX station and move on to others. Of course since you don’t really have to copy a lot of info in most cases, you can get by at lower copying speeds. When you get right down to it, all you really need to copy is the DX station’s call, and your own call. But still you’ll be much better off being able to copy at least 30 WPM which is not all that hard to do with some good practice. If you can copy everything involved in the DX operation, you’ll be much more prepared to work the DX. You also should know something about propagation as I mentioned in a previous newsletter. That way you won’t waste time in mid-afternoon trying to work DX on 80 or 40, nor time in the middle of the night trying to work something on 10 meters. 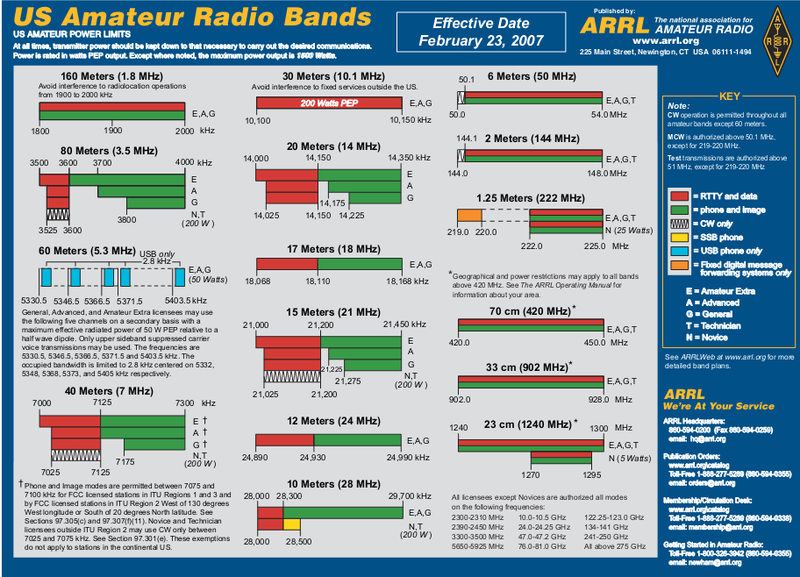 Not to say there aren’t times mid-day DX on 80 or especially 40 is possible, or 10 meters DX late at night, but generally it’s not. Once you find a DX station, you then LISTEN some more to find out the station’s mode of operation and just where HE is listening. For example, if you hear him work a station right on his frequency, then you know he’s listening there. Zero beat him and get ready to call, but again don’t jump in too quickly. Sometimes after the exchange of info, the DX station will just say TU as in this example, and then start listening for replies. Other times he will send QRZ?, or QRZ? de X2XXX, or just X2XXX. Some stations send dit dit. 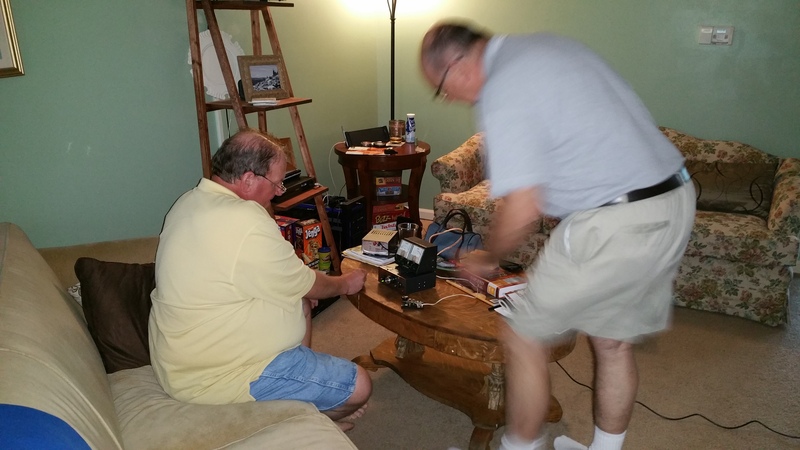 Whatever it is, learn when the DX station is done with a QSO and ready for the next call before you jump in. Do everything right and you’ll have your QSO or at least a better chance at the QSO than someone who has no idea what is going on. Of course that is the ideal situation, and it is not going to work that way every time, even for the most powerful station in the world, and certainly not for the QRPer with his wire antenna. Not to say it doesn’t happen, though. A few times I have beaten out a fair sized pileup to work a DX station. Why? 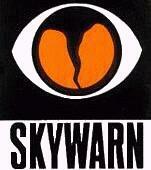 Often it is simply favorable propagation, but there are also things you can do to help. Be sure your signal is as clean and crisp as possible and your keying is as close to perfect as possible. DX stations often mention that it is not always the strongest signal that is easiest to copy in a pileup. Often a weaker clean signal with perfect keying is easier to copy. If you have a memory keyer, use that to send your call. It is possible to get nervous when trying for some rare DX, and be sloppy sending even our own call. Another thing that helps at times is to delay for a second sending your call so that the last letter or two extends past the main buzz of the pileup. In my case, the DX station would then hear the WP and send WP? Then I send my call again, and make the QSO. That is assuming there is no other WP in the pileup, and everyone acts properly and does not transmit again if their call doesn’t contain a WP. And we know the odds of that. Generally anyone who has a W in their call transmits, everyone with a P transmits, and others will transmit even though their call has nothing close to a WP in it. The best of the DX stations in this case will send WP? KN KN and keep doing this until everyone else shuts up except the WP station. If a DX station does this often enough, he can really take control of a pileup and make it manageable. If you’re totally aware of what is going on, you can sometimes catch a station switching from simplex to split (more about that below) operation, and be one of the first ones to switch. I’ve several times gotten an easy DX QSO that way. Or catching a station switching to another band and being the first one to do so and working him easily. Again that gets back to LISTENING which a lot of folks seem not to do. 1. I don’t feel my QRP should be pointed out as a special situation. I’m just another station in the pile, not someone special because I’m only using 5 watts or less. 2. I am sure some QRO stations cheat and sign /QRP, and I certainly don’t want to be accused of that by those who don’t know that I am a 100% QRPer. my info since my sigs are weak, and repeating /QRP along with the other info may annoy not only the DX station, but others waiting in the pile. I hate slowing down DXpeditions or contesters like that. If you hear a DX station say UP (or UP1, UP2, etc. ), that means he is listening to a frequency higher than his. The number is the number of kHz higher than his transmitting frequency. 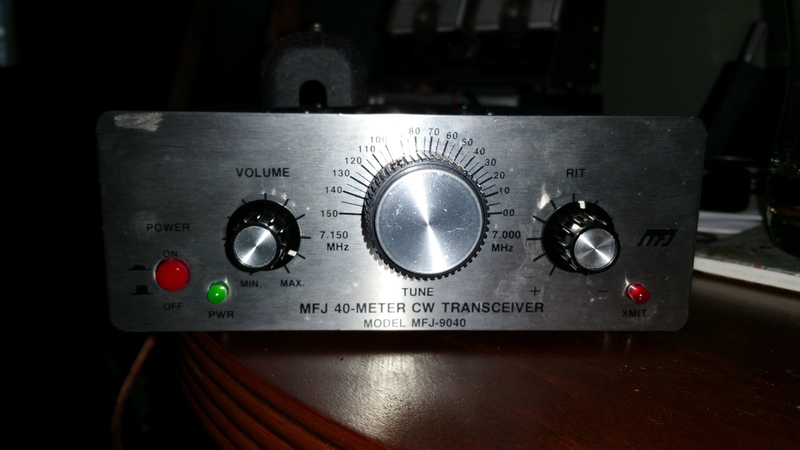 Leave your receive frequency on the DX station, and set your transmit frequency UP to where the DX is listening. If he just says UP with no number, generally that means UP 1, but not always. Then you have to find the pileup yourself. Once you determine where the DX station is listening, follow the same procedures listed for simplex or same frequency operation. Just be sure you are transmitting and listening on the right frequencies. Every rig seems to have a slightly different way of accomplishing this. I’ll describe two ways it can be done with a KX3. 1. Tap the A>B button twice to copy the A VFO frequency and settings into the B VFO. Hold in the A>B button to activate split operation. 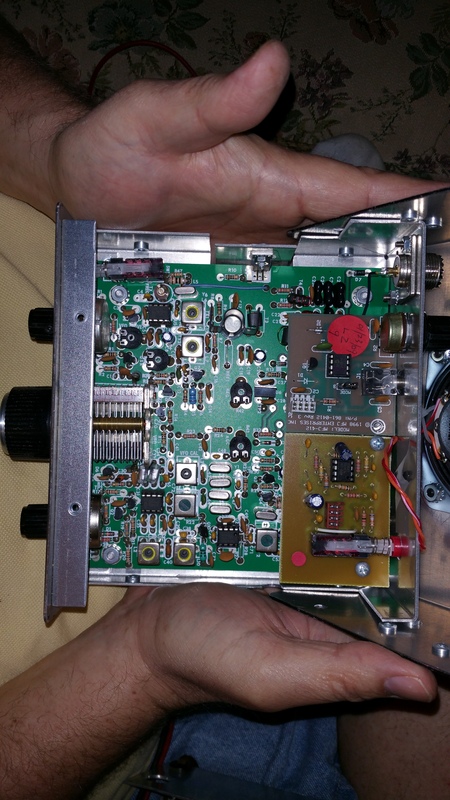 Now the A VFO shows the receive frequency, and B can be tuned with the B VFO knob to set the transmit frequency. Then if desired, the headphones can be split via a menu setting so the DX is heard in the left ear and the pile in the right ear. That way you can hear who the DX is working in the pile in your right ear and the KX3 will then be set to transmit on that frequency. 2. Use the XIT feature to offset the transmit frequency from the receive frequency. I always use #1 above, so I’m not totally familiar with XIT operation. If the pileup is huge, you might be better off transmitting slightly higher than the main pile. The DX station will often explore the upper (usually) edge of a pileup if he can’t pick out calls from the main section of the pile. This is where the clever QRPer can often steal a QSO from the QRO stations. It’s really a chess game, and whole sections of DXing books have been devoted to breaking a pileup. Often times the DX station will be operating split frequency but not saying so. This is where listening comes in. 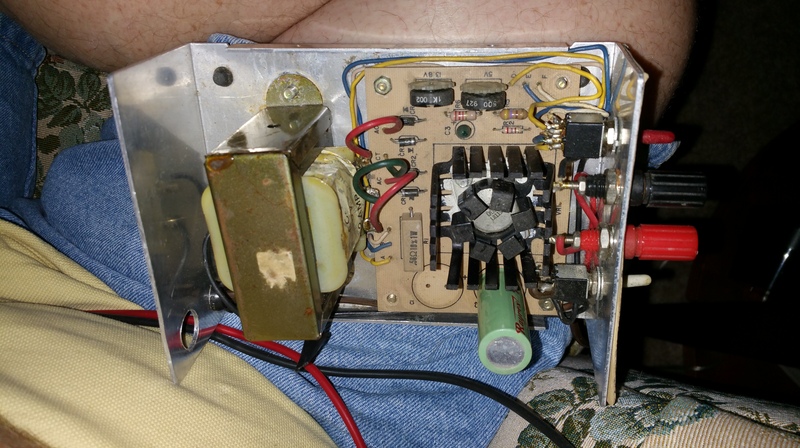 If you hear the DX working one station after another, but don’t hear any of the stations he is working, it’s time to tune UP and see if he is indeed working split frequency. 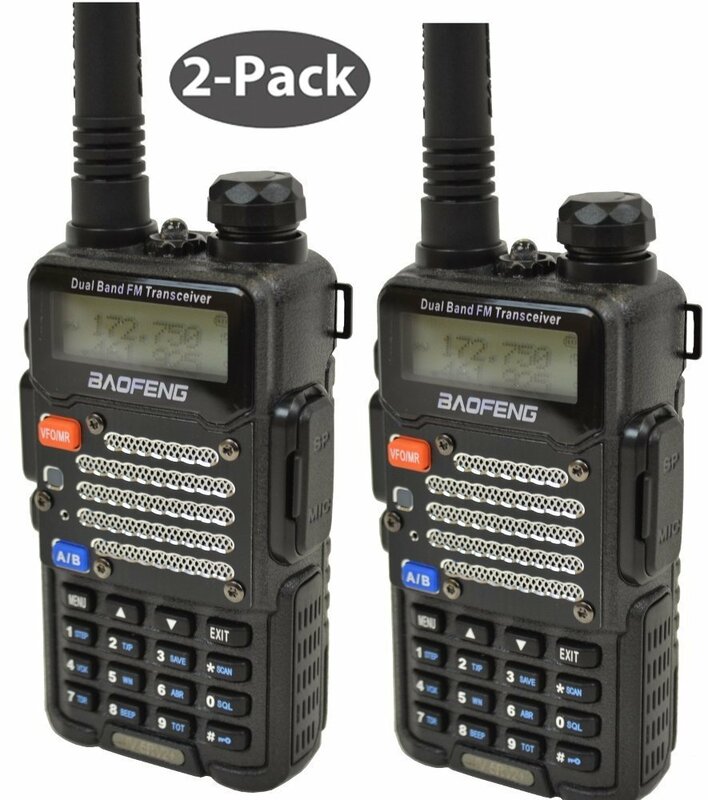 Or you can go ahead and transmit on the DX frequency, and the self appointed DX policemen will very impolitely and illegally tell you the DX is listening UP. It’s always better to know what’s going on before you do any transmitting. That’s enough about the pile-up type of DXing. If you want to know more, just get on the air and practice, or read one of the many excellent books that have been written about DXing. Let’s touch on a few other DX topics at random. 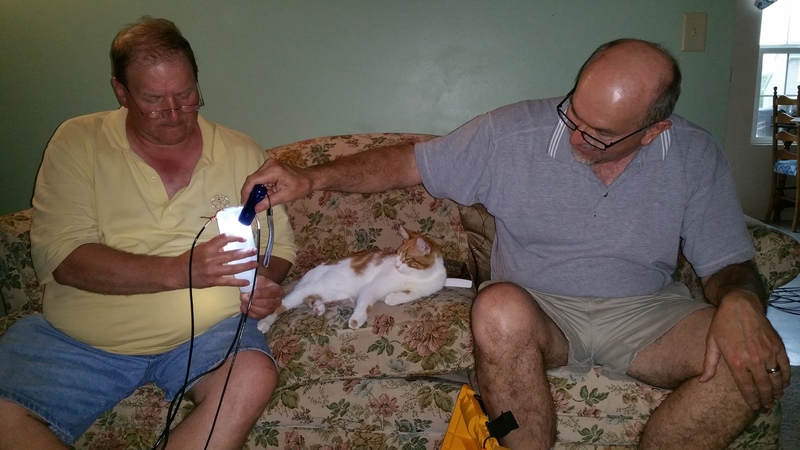 What about the QRPer calling CQ DX using his wire antenna. It’s probably useless most of the time, but I have had DX stations answer my regular CQ’s many times. This usually happens on 10M when conditions are really good, but it also happens on other bands. I currently have about 3 dozen countries worked via answers to my CQ’s. Strangely, my most distant QSO ever came when VK6HQ answered my regular CQ on 30M one evening. I was so shocked and excited I could hardly send. Even after the QSO, I was wondering if it was really true that I worked a VK6. It was, because I received his QSL card in a couple of weeks. However something like that is the exception rather than the rule for QRP CQ’s. 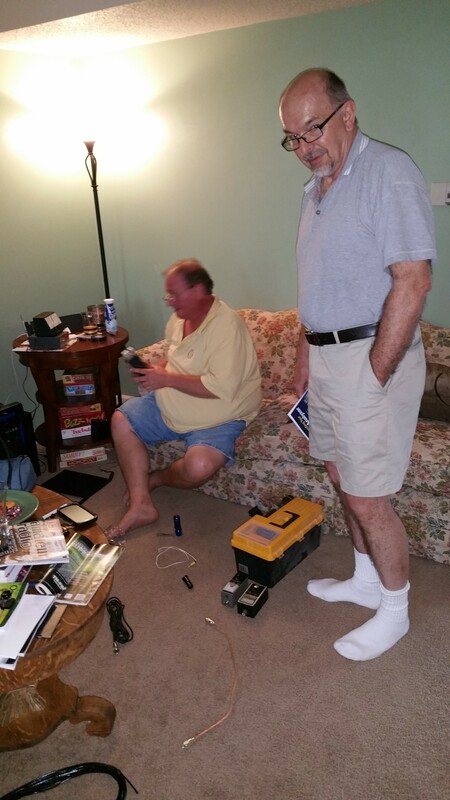 Once in a while lightning strikes twice and a couple years later John, VK6HQ again answered my CQ on 30M. This time it led to a long distance phone call from John, and follow up Emails between us. This is one of the rewards of DXing – having one of your contacts become a friend. The easiest time to work DX is in contests, because the best operators in the world often go to exotic locations for contests to make themselves more desirable or just to activate some rare country. Plus you have the super contest stations in various countries operating with their huge antennas and state of the art receiving equipment. They are the ones who can dig out the weakest of signals, and are glad to do so for those few extra points they will get in the contest. Those points may just help them beat out another top notch contester. You may have a tough time beating the pileups at the beginning of a contest, but often these super contest stations almost go begging for QSO’s near the end of a contest period. Then is the time you may easily work them. Always let the DX station dictate the type of QSO. If you answer a DX station outside a pileup, and he still sends just a report, you do the same. You will earn the respect of the DX station and those working him. There’s nothing more frustrating that having a DX station send only RST and the station working him sending seemingly his entire life history. 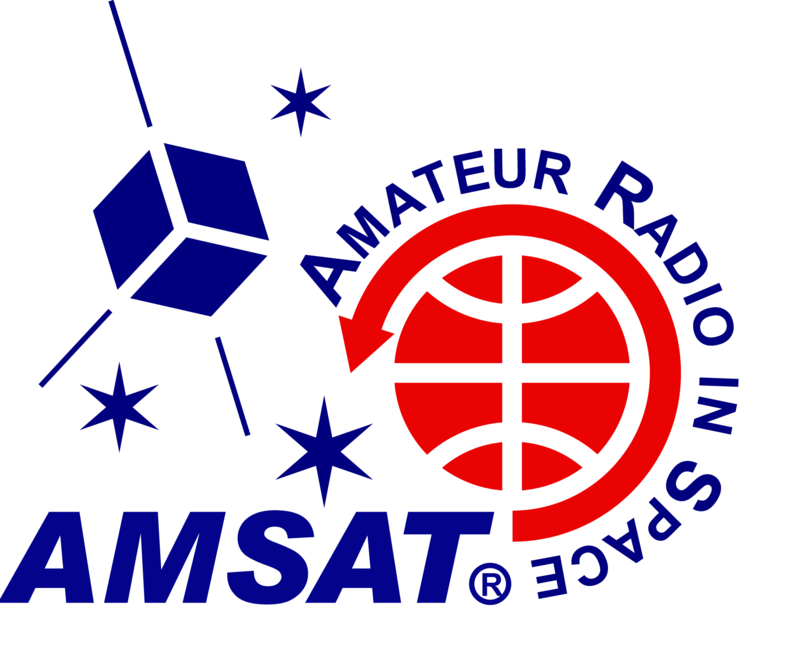 If the DX station does send something like RST, QTH, and Name (OP), then you may be fortunate enough to find yourself with a DX rag chew. Send your QTH (maybe just the state), and name, and maybe mention you are running QRP. It doesn’t happen too often, but I have had some very nice rag chews with DX stations. I recall a few I especially enjoyed. I chatted for a half hour with a German who was on vacation in the Canary Islands. A PJ2 wanted to know all about my QTH. I had a nice chat with an Italian talking about my Italian heritage (my mother was Italian). 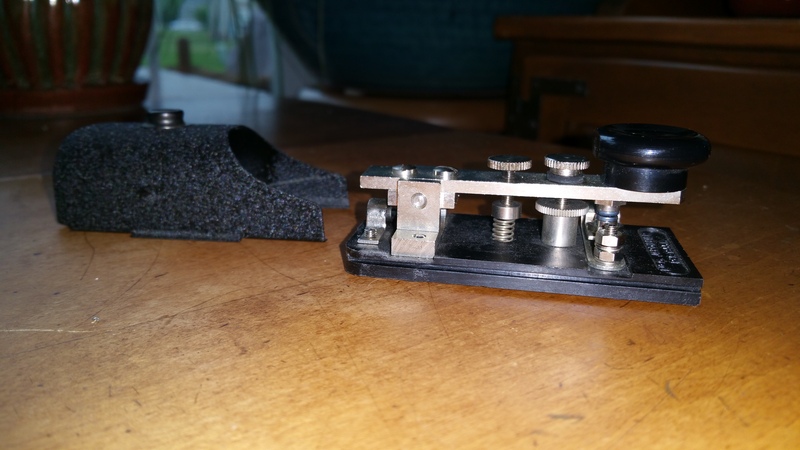 A German asked me all about my QRP rig. A station in Haiti was new to operating CW and asked me several questions about it. There were others as well. These are the DX QSO’s I find really rewarding, although I appreciate the RST only ones also. 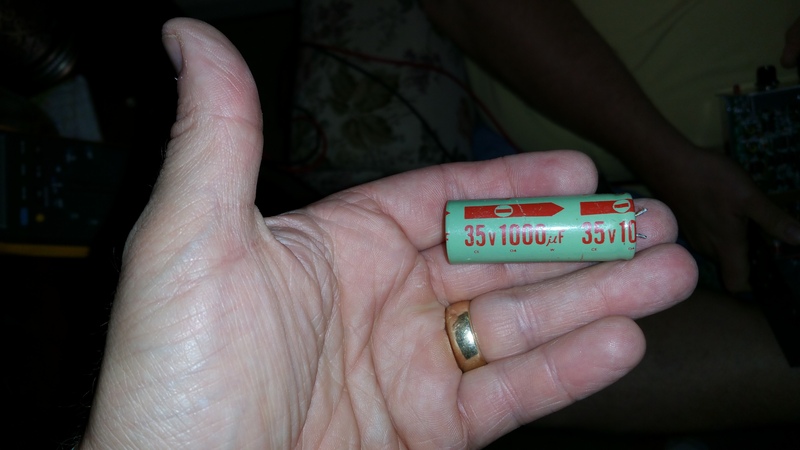 You CAN rag chew with DX using QRP when conditions are good. There’s much more good info about DXing on my web site at http://home.windstream.net/johnshan/. I hope you’ll visit. I also hope you’ll be as successful as I have been working DX. I KNOW you can be if you just apply yourself.